Thursday in Washtenaw County Circuit Court. even though he wasn't trained to handle it. 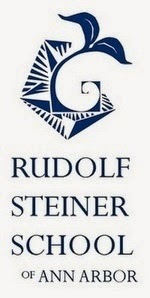 I love Rudolf Steiner schools. I was unfortunate to have had quite a bad experience myself during my second year as a student there, though I still hope others will benefit from this wonderful institution. I was shocked to discover that not all the teachers have a teaching degree. Can you imagine? I know people can be very intelligent without a college degree but when it comes to teaching I really expect a certain level of college education. Especially when I am being asked to pay thousands of dollars each year in tuition. I also noted a morale problem among the employees, issues with the early education department, and rumblings about the head of school's leadership and human resources abilities. Some people are certainly very qualified and the philosophy great if everyone were operating by it. I hope it can find the right leadership to bring everyone together in an organized fashion to truly live the philosophy they use to get people to sign a contract. Some of the administration do not act in a manner consistent with the marketing. They are just too divided and it can be noticed by anyone spending even a little time on the campuses. Recently they seem to have lost key employees for various reasons and the turnover is alarming. This is a sign that things at the top are not running correctly. The board should take notice and the teachers should take back some control. (learning disabilities, minor conflicts with teachers or other students, etc). and overall instability of the school so we decided to find another school. from sleep to diet to clothing to our visitation schedule (we are divorced). with protecting their egos, reputations, and salaries than instructing students. had an excessive turnover rate to the detriment of students and parents. I cannot comment on the Waldorf School in Ann Arbor but I can say that all Waldorf Schools are not a like. We have a wonderful school that goes to Grade 6. I see the result of the school in the kids, the graduates and what they do in middle school, high school and beyond. Our school takes Rudolf's words of wisdom "Take what I have taught and add to it when new discoveries occur". Therefore our school is at the front of learning academics, discipline methods, arts etc. I have heard of super strict schools. They are not Rudolf Steiner. He created schools as a reaction to the strict schools in the early 20th century. Sorry that this school is one of those "strict" schools that I have heard about. "Our school takes Rudolf's words of wisdom "Take what I have taught and add to it when new discoveries occur". Therefore our school is at the front of learning academics, discipline methods, arts etc. " Yes, I often hear about these nameless Waldorf schools that are so wonderful. If only they had a name... parents could rush to them. Kinda makes me wonder, if they are REALLY so great, why don't people say which school it is - so parents can check for themselves. Instead, anonymous people show up and make claims about an anonymous fantasy school out there that is perfect... it's probably the same magical school that has 94% of graduates accepted into college. I'd like some info on parent-teacher conflict.. made difficult by other parent teacher friendships and hence there seems to be no confidentiality; newcomers are bullied by the established group.. a group that runs the school. When bullying is so subtle and invisible to all others and cannot be alt with as the governance teams etc are run by the bullies.. what do you do? My experience was consistent with all the postings I see here, except the one that says their Waldorf School was not like the others. I seriously doubt it. There is a consistent pattern among waldorf parent criticisms that strongly suggests the philosophy of steiner schools is the underlying problem. we were at the whidbey island waldorf school for 7 years, and found that although some teachers were arguably well meaning and a few students/parents are happy, the overall quality of education and morale at the school is poor. Many parents left (including us) while we were there very unsatisfied with teacher quality and lack of administrative oversight or organization. Although the promise of a progressive education is aluring, waldorf schools are not the answer. Dogma, in all its forms, including Steiner's, is never a good organizing idea when educating children. As we found out, the teachers don't see the child, but rather really see the dogma. Precisely what parents do not want, unless of course, they have been asimilated! If you are considering a Waldorf school, make sure you do some research, ask lots of questions of the teachers, and for goodness sake, don't be fooled by the pretty artwork on the walls! A friend of mine was distressed to stumble upon this comment on my post from 4 years ago (pasted from a different website) and alerted me to its presence. This response is a perfect example of our experience at the Rudolph Steiner School in Ann Arbor. In one breath, the respondent shames and criticizes; 1) a 7-year old boy, 2) his parents and 3) his new school. Although the response is riddled with inaccuracies, s/he decided to include additional identifying information so that many in our relatively small community could identify my child. For that reason, I am requesting that the blogger, PeteK, take the response down. My son is still a child in this community, and deserves to be treated with sensitivity and respect – not condemned online by an adult who barely knew him for behavioral issues he had at 7 years old. He struggled immensely in his early childhood due to his learning difficulties and being in learning environments that did not meet his needs. Being blamed for not being able to engage in learning like other children further exacerbated his frustration. He has blossomed into a confident, kind, well-rounded child, due in large part to the loving and thoughtful attention of the teachers and staff at his new school, and despite those at RSSAA who treated him as if he was deeply flawed or believed we as parents had failed him because of his difficulties. Done... and my apologies to you and to your son. I'm happy he's doing well. Thank you so much for your quick and kind response. I appreciate your work to provide more information and education to the public about these schools. There is zero transparency here, they meet in secret and hold secret evaluations of your child. You are not allowed to look at anything in writing. If the lower school administrator decides not to like you or your child, they ambush and bully you. The teachers often stand around and chat instead of watching the children and they refuse to acknowledge any kind of bullying. So glad they decided to kick us out for needing some additional support I had chosen to seek, which made my child unable to be accommodated there. They are having enrollment issues, yet they are kicking out people.